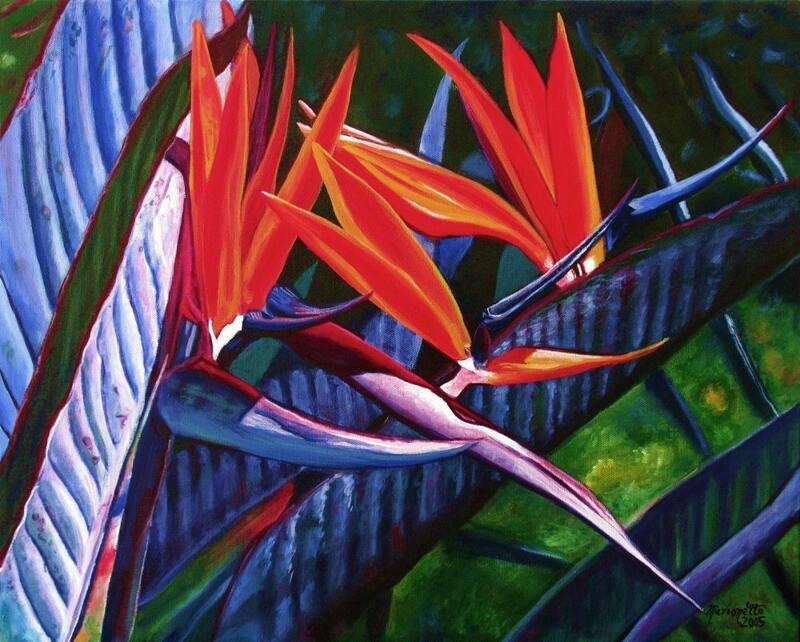 I have had a passion for birds of paradise since the first time I encountered one in 1992. To me they represent the essence of the tropics with their rainbow of colors and bird-like appearance. This was the first time I attempted this scene in acrylics, having painted this one twice before in watercolor. It has proven to be a favorite among lovers of the Hawaiian Islands. "Passion for Paradise" This giclee print is signed by the artist and is printed with archival inks on radiant white watercolor paper. It is a reproduction of an original acrylic painting and comes packed in a clear sleeve with a backing board (unframed). Colors may vary slightly from monitor to monitor.